I admit that I am one of those people that has a pet peeve with grammar and spelling. You spell “a lot” without a space, I shudder. In the marketing and advertising industry, correct spelling and grammar are crucial to your branding. 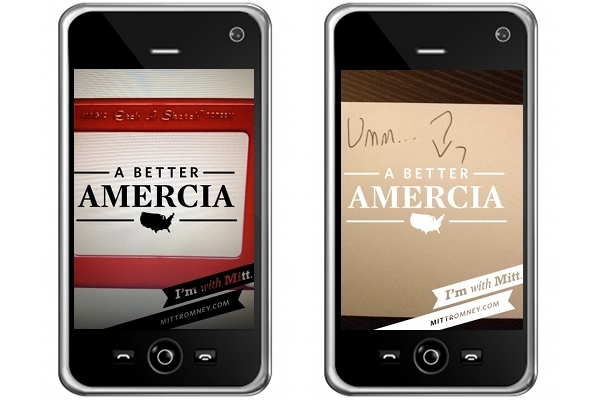 I freely fess up that I chuckled this morning with the “oops” Mitt Romney’s campaign mobile app had in the spelling of “America”. It has gone viral in a matter of hours since the mistake. Spell check is a great invention. There is always one person in an office setting who is a grammar/spell check pro and will be more than happy to mark up your paper with red ink. Mistakes like these make your clients and potential clients ponder – if you don’t pay enough attention to your own work, what kind of attention to detail would you give their brand?